Easter is just around the corner and we need to start stocking up our style and décor items to make the most of this festive season. Children love nothing more than glittery and sparkly Easter bunny shirts, and instead of buying new ones that they’ll probably wear no more than twice a year, why not find a good thrift bargain, and get started on making one of our own? It’s very simple, you can pick out plain white tees or work with a colorful or stripe-filled tee-shirt. You can buy glittery bunny-inspired sew-ons from your local Talize, and then, all that’s left to do is sew them on, and create some more bunny art or use stamping techniques. For a baby girl, you can make up lots of bows and pink bunnies, and for boys, keep the outfit in blue-tones. Opportunities are endless, you can make cute little stars with sequins scattered around, Easter eggs, glittery hearts and so much more. Give your baby girls a twirl-worthy moment this Easter with colorful tutu skirts paired up with bright tops, or a bright-hued maxi dress that has lovely lace accents. Talize allows you to shop a lovely myriad of second hand dresses that allow you to match various patterns, fabrics and textures. Pick out the ones you think will flatter your baby girl, and start creating flowy maxi dresses and skirt suits. You can even create a patchwork delight by mixing up different patterns and prints. 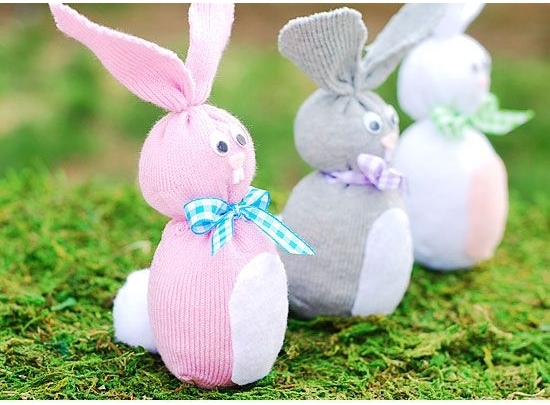 Pick out some colorful socks, gloves, mittens, knit sweaters and leg warmers from Talize, and turn them into Easter Bunny goodie bags to hand out desserts and sweets to the kids. You can cut them up and do a little bit of sewing to turn them into little pouches, and then get creative with laces, bows and glittery patches to give them a delightful festive finish. Hosting a fun-filled Easter party for the kids, family and friends? You need a colorful backdrop, actually lots of them to make your Easter affair festive and create ample opportunities for good selfies. Pick out heaps of colorful clothes from second hand stores, make sure the fabric is very light and easy to cut through. Also, be sure to pick out all the Easter colors, such as pink, blue, green, yellow and some coral or red for an energetic pop. Now, cut them into strips and hang them on a wire or rope. 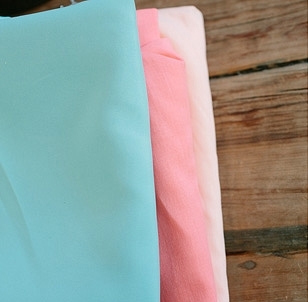 You can even use this trick to create colorful tablecloths.